Aquamarine rings mirror the colour of the ocean. The gemstone itself can be found all over the world, however it is the quality of the gem that makes these pieces extra special. 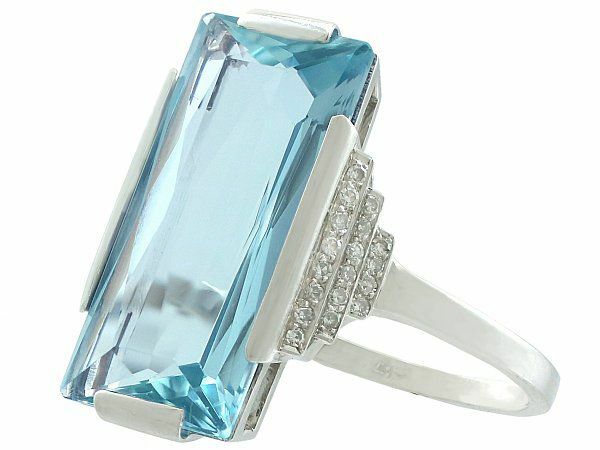 Aquamarine is the birthstone of those born in March and is derived from the Latin word for seawater. AC Silver currently stocks antique aquamarine rings that couple this beautiful stone with diamonds or pearls that emphasise the elegance of each piece.